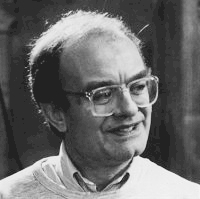 The Requiem of John Rutter (b. 1945, London) is regarded as his greatest contribution to the world of serious choral music. The Requiem was written in 1985 and dedicated to the memory of his father, who had died the previous year. This gifted composer who has given us so much exceptional choral material shows his eminent skill and virtuosity once again in the creation of this monumental work, which is considered his most beautiful and exquisite composition. It is intimate rather than grandiose, contemplative and lyric rather than dramatic, and ultimately moving towards light rather than darkness. It employs a non-traditional approach, including movements based on scriptural texts - Psalm 130 (Out of the Deep) and Psalm 23 (The Lord Is My Shepherd), and excerpts from the 1662 Book of Common Prayer. The first complete performance of the Requiem took place in October 1985 in Dallas. No one, least of all the astonished composer, could have predicted the flood of performances which followed and has continued ever since a clear sign of humanity's quest for solace and light amidst the darkness and troubles of our age. The seven sections of the work form an arch-like meditation on the themes of life and death. There are grand moments such as the pleading " Agnus Dei" which builds to an anguished forte, and the " Sanctus" as an affirmation of divine glory. It has a ravishing "Pie Jesu" for treble solo and the closing "Lux aeterna" is a hauntingly beautiful movement that expresses serenity, light, and the promise of eternal rest. However, it is often the simple and elegant passages such as the plaintive " Requiem aeternam" and " The Lord is my shepherd" that capture the mood and the listener. Although using conventional harmonies, Rutter is not adverse to throwing in a stinging dissonance for dramatic effect. Chant-like unisons suddenly burst into 8-part chords and chromatics are used to intensify rather than change keys. John Rutter’s Requiem is considered a polished gem and has gained immense and widespread popularity throughout the world. The Festival Te Deum of Arthur Sullivan is a majestic and rousing work. This non-Gilbertian, grandiose work opens impressively - incorporating the hymn tune St. Anne (Our God Our Help in Ages Past). The hymn tune returns in the final movement, sung triumphantly by the whole choir in unison as if a great ecclesiastical cantus firmus. In between come the theatrical elements of his composition that make this entire work superbly crafted, yet rarely performed. Ours will be the second complete performance of Sullivan's Festival Te Deum in the United States. From early in his adult life, Sullivan was the favorite composer of royalty. He was a public man, who was called upon on a number of occasions to supply grand music. In 1872, the Prince of Wales recovered from a life-threatening bout with typhoid fever. Sullivan was commissioned to compose a work to commemorate the Prince’s recovery. The Festival Te Deum was the result performed by a soprano soloist, organ, choir, and orchestra, totaling over 2000, and witnessed by 26,000 at its first performance at the Crystal Palace. Set to a sacred text, and sung in English, the tone is decidedly cheerful and upbeat, including at one point a jaunty march set for military band. The piece was highly successful and critics record that Sullivan was uproariously cheered as the last triumphant chords resounded throughout the Palace. Arthur Sullivan (1842-1900) was born in Lambeth, England. As the musician in the famous Gilbert and Sullivan team, he is well known for numerous operettas written with the librettist W. S. Gilbert. However, he also spent a 40-year career writing music for the church and concert hall a fact that is not commonly known. 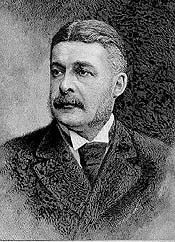 Sir Arthur Sullivan received several honorary doctorates and was knighted in 1883.